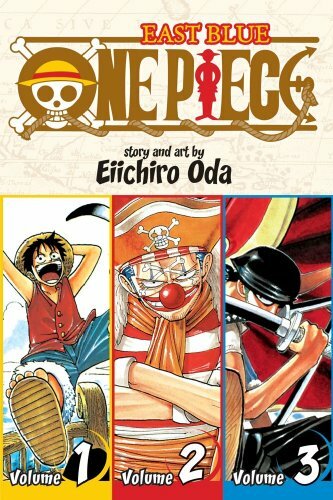 Eiichiro Oda’s One Piece (Viz) is a shônen manga about pirates. As a child, Luffy D. Monkey grows up in a seaside village that serves as a sort of off-duty destination for a group of pirates led by Red-Haired Shanks. 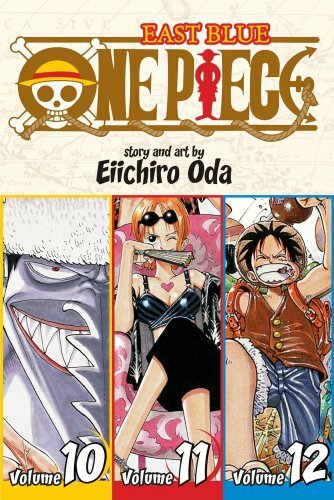 Enthralled by the Red-Haired Pirates’ tales of adventure, Luffy determines to become a pirate himself, even after he encounters a less benevolent group of pirates. 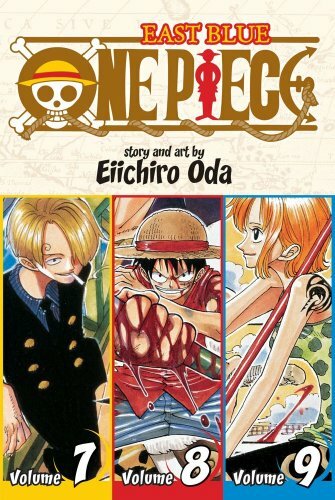 Since this is shônen manga, where dreams are nothing if not big, Luffy determines not only to become a pirate, but to become the king of the pirates and find the legendary treasure, the titular “One Piece.” Of course, Luffy has a bit of a handicap for a seafarer. He consumed one of the mysterious “devil fruits” that give those who consume them amazing, often bizarre powers but rob them of the ability to swim a stroke. And, if shônen is about big dreams, it’s also about overcoming obstacles. And an innate tendency to drown is certainly an obstacle for a pirate. Shônen manga is also about making friends, more often than not, and Luffy is a gregarious sort. While he starts with a raft and a souvenir hat from Shanks, he quickly acquires the beginnings of a crew and a sturdy ship for them to sail. He’ll need both as he sets off into increasingly dangerous waters and encounters with formidable rivals. But Luffy and crew are no slouches; they can hold their own in tough spots. 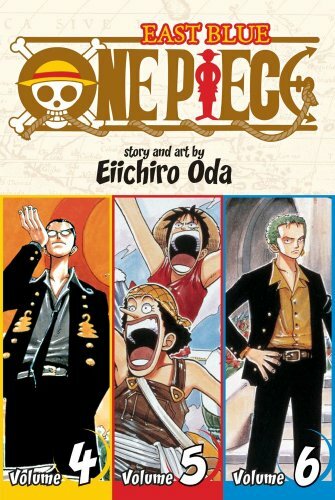 If this all sounds like pretty standard adventure comics for boys, it doesn’t factor in Oda’s comedic idiosyncrasy or his facility for surprising drama. One Piece has big battle set pieces, but it doesn’t have the conventional storytelling rhythms of the genre. Oda rarely asks his audiences to endure any sequence that overstays its welcome. His ability to build appealing, sympathetic and diverse characters is matched by his sure hand with moving the narrative around though a number of different perspectives. Storylines can run for a number of volumes, but they never feel too long, since Oda can jump around with point of view so easily. Oda seems to be making a hobby of new sales milestones. The series has a successful anime adaptation, and there have been a number of special book products supporting the franchise. But it’s hard not to conclude that its commercial success comes from genuine fondness. For all of Oda’s playing around with tone and narrative, it’s ultimately an old-fashioned, good-natured property. It’s perhaps not surprising that Oda cites Akira (Dragon Ball) Toriyama as an inspiration. One Piece has run in Shueisha’s Weekly Shônen Jump since 1997, and it’s part of the line-up of Viz’s Shonen Jump magazine, along with titles like Naruto and Bleach. It’s not nearly as popular in North America, though Viz did give it a run of accelerated release recently, allowing it to close in on its Japanese release schedule, not unlike the “Naruto Nation” initiative of a few years back. Perhaps some of the pieces that are posted this week will explore some of the reasons why the series isn’t a North American smash proportional to its hometown popularity. I’ll post daily link updates starting tomorrow, and I’ll update this blog page regularly as well. Please email me when you’ve posted something for the feast, and, if you’re on Twitter, use the #MMF hashtag if you think of it. I’m looking forward to reading and hearing everyone’s thoughts about this series! You are currently browsing the The Manga Curmudgeon blog archives for the day Sunday, November 28th, 2010.